Intro by Hennessy: There are sometimes matters of conventional wisdom that upon reflection really don’t make that much sense. 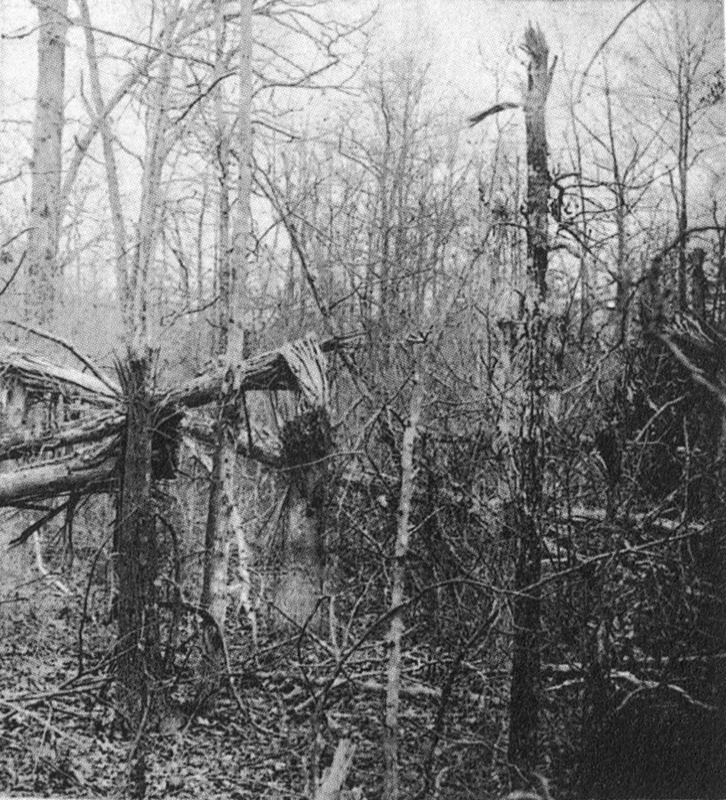 To me, one of these relates to the origin of “the Wilderness,” the 70-square-mile area of Spotsylvania and Orange Counties that has loomed darkly over our region much as the deep forest loomed over Dorothy and her cohorts in the Wizard of Oz. The conventional wisdom is that the Wilderness was the product of two things: inherently poor soil and the rampant clear-cutting to supply local iron furnaces with characoal. There is, in fact, nothing inherently remarkable about the soil in the Wilderness. 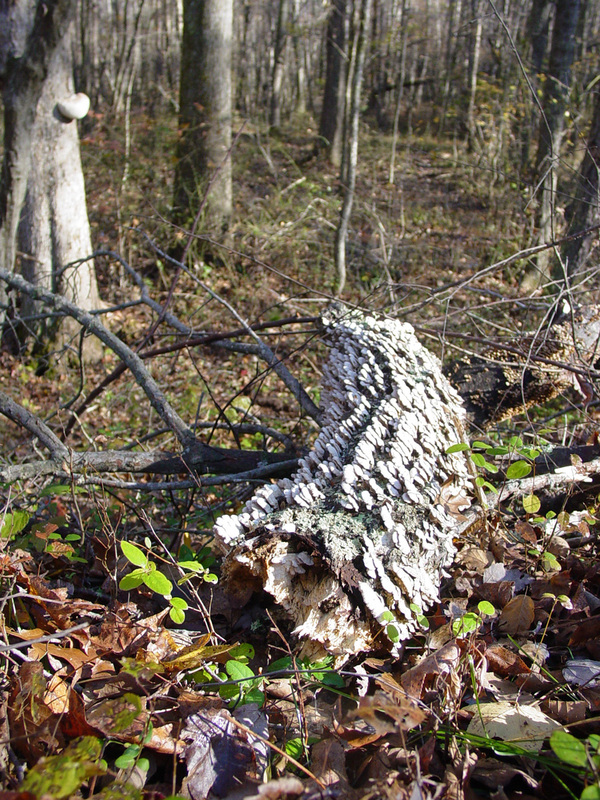 Left alone, it supports a forest like much of the rest of Virginia Piedmont. Modern visitors are often confused by the typical appearance of the forest there–presuming it to be inherently different. It is not. Rather, it was made distinctive by the acts of people. What follows is a much-needed critical look at a critical question. Wherefrom the Wilderness? The point of departure for questioning the convention is the recent completion of what the NPS calls a “Historic Resource Study” of Catharine Furnace, by Dr. Sean Adams at the University of Florida (Catharine Furnace is a mid-1800s furnace located on the Chancellorsville battlefield). Sean was spurred on by some preliminary work done by our own Noel G. Harrison, the incomparable chronicler of the pre-Civil War landscape in our region. The work of those two forms the basis for what follows, in two parts. First, a consideration of the soil and tobacco production. A Progress to the Mines, the 1732 travelogue by William Byrd II, describes the landscape of the future battlefields of Chancellorsville and the Wilderness as composed in large part, if not entirely, of scrubby “poison fields” of saplings, a full century before the appearance of the timber-consumers–Catharine Furnace, the gold mines, and the plank road–that are now often identified as the origins of a landscape described in exactly the same terms during and after the 1860’s. I rode eight miles together over a stony road, and had on either side continual poisoned fields, with nothing but saplings growing on them. Then I came into the main county road, that leads from Fredericksburg to Germanna [emphasis added]. We drove over a fine road to the mines, which lie thirteen measured miles from the Germanna…. The colonel has a great deal of land in his mine tract [at least 15,000 acres] exceedingly barren, and the growth of trees upon it is hardly big enough for coaling [emphasis added]. This raises an important question: Was the extensive sapling-landscape due to a cause other than, or operating in tandem with, charcoal-making for iron production? While paging through Paula S. Felder’s study, Forgotten Companions: The First Settlers of Spotsylvania County and Fredericksburgh Town (1982), an astonishing set of agricultural statistics caught my eye. This data, when we consider its geographic overlap upon the future Civil War battlefields, suggest that tobacco cultivation might bear much of the responsibility for the “poison” landscape. An annotated map on page 31 of Felder’s book shows that the area of Spotsylvania County north of the Ni River, east of Wilderness Run, and west of Motts Run–encompassing Spotswood’s mine tract and furnace and most of the land traversed by Byrd in 1732 (as well as most of the future Chancellorsville battlefield and that part of the Wilderness battlefield around the Brock Road/Plank Road intersection)–had once led the county in tobacco production. A tobacco census found nearly 1 million tobacco plants growing in this zone in 1724, and a subsequent census found 1.3 million there in 1726–the last figure representing the largest of any tally reported for each of the six zones into which the county was divided for these counts. Byrd in 1732 recorded seeing only “saplings” and “barren” land as he crisscrossed the site of the tobacco boom of the early-mid 1720’s. Why did he not see tobacco plants, instead? If we assume that large-scale tobacco cultivation began on the Spotswood lands, in the area of the future battlefields, around 1722 (one or two years after Spotswood acquired the mine tract), perhaps tobacco’s notorious propensity to deplete the soil had soon rendered it unfit for further cultivation prior to Byrd’s arrival, cultivation that ended in time for early-forest vegetation to take root and reach the general height of saplings by 1732. Felder’s book suggests a supplemental or alternate explanation: tobacco prices in Spotsylvania County hit the lowest-recorded levels in 1728, and “demand increased” beginning only in the year of Byrd’s visit. – The “poison fields”/sapling-heavy landscape of the future Wilderness and Chancellorsville battlefields had appeared by the early 1730’s. – The landscape present there in the 1730’s was due to either widespread tobacco cultivation occurring in c. 1722-1728 on lands freshly de-forested for charcoal production supplying Spotswood’s Tubal Furnace, or to widespread tobacco cultivation occurring in that same period on lands de-forested mainly for tobacco cultivation. – The principal “damage” of the mineral-extraction of the 1830’s-60’s was perhaps less a matter of immediate impacts such as erosion and water pollution and more a matter of diverting resources and energies that might otherwise have been devoted to the introduction of widespread mixed agriculture and extensive nutrient-replenishment on a landscape previously ravaged by tobacco–to the creation of a broad network of farms of the scope and longevity of Ellwood (a large plantation-clearing on the future Wilderness battlefield that represented the most dramatic exception to the local rule of a few, small farms separated by long stretches of scrubby woodland). 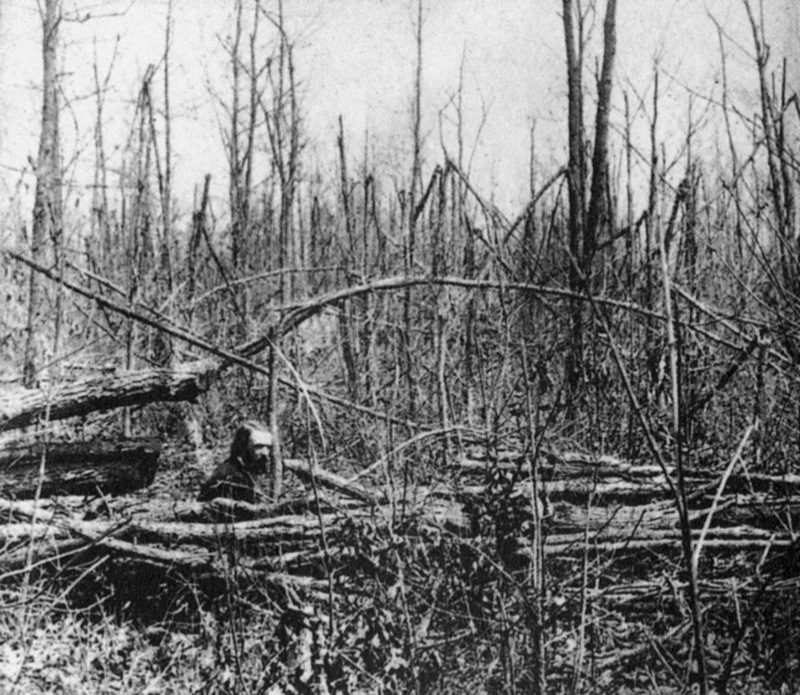 Next up: the role of clear cutting in creating the Wilderness the armies encountered in 1863 and 1864. The conventional story I’ve heard is one of soil exhaustion from the poor farming practices used in growing tobacco, followed by the abandonment of the land. Is it possible that tobacco farmers would have exhausted the soil that quickly? Andrea: It only takes a couple of years for soil to be depleted by tobacco cultivation, and it requires active intervention–in the form of fertilization–to recover it. In this instance, we can’t say whether it was the collapse of prices that caused farmers to let the fields go fallow at the time of Byrd’s visit, or if the soil itself had been depleted. In any event, we do know that the Wilderness never became a locus for major agricultural activity after 1732. John H.
Great post. This is old now but I’ve got to try – I’ve been researching the Northern Neck Proprietary land grants in Fairfax County just north and found 65 references to poison fields. These surveys are supposed to be conducted prior to (European) settlement, but I don’t know the settlement history of the area very well. Is it possible in your view that tobacco was cultivated by squatters prior to the official surveys?